Here is good new for all Xiaomi Mi a1 android One users. Official android Pie 9.0 has been released for Xiaomi Mi A1 android Smartphone and users can update their device on this latest official android 9.0 Pie version. As we already told you, it’s a official android Pie 9.0 android version for Xiaomi Mi A1, so no need to root your device. Simply download Xiaomi Mi A1 android 9.0 Pie fastboot Rom from below download section and flash it. That’s it. So if your device still working on lower android version or now want to upgrade or install android 9.0 Pie on Xiaomi Mi A1, follow the below instructions as it is as shown below. Here in this flashing guide, we will show you the complete steps to install official android Pie 9.0 on Mi A1 mobile. For this purpose, you have to download latest android pie 9.0 fastboot ROM for Xiaomi Mi A1. After that you can enjoy new pie build on Xiaomi Mi A1 smartphone without having any issue. Latest android 9.0 pie version come with lots of interesting and useful features like new gestures, new adaptive battery, adapative brightness, new Pill based navigation gestures and recommended apps etc. If you are Xiaomi Mi A1 android One smartphone user and now want to experience android 9.0 Pie OS or want to install android pie 9.0 fastboot Rom on Xiaomi Mi A1, you have landed on right place. We will try to explain all the steps with all necessary screenshots. Important: Android Pie 9.0 fastboot ROM flashing on Xiaomi Mi A1, will wipe all user data and phone data completely. 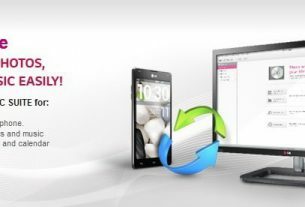 So don’t forget to take backup of the device. Before going to flash Mi A1 android 9.0 pie stock ROM, make sure you are applying it only and only on Mi A1. This fastboot ROM is only for Xiaomi Mi A1 mobile. Read the post carefully first and then apply it on your own device. Make sure you have downloaded all the necessary files from above download section. Now go for next to update Mi A1 android Pie 9.0 fastboot ROM. Unlock Mi A1 bootloader : bootloder unlocking is the first step before going to install official android 9.0 Pie on Xiaomi Mi A1 mobile. Bootloader unlocking process for Xiaomi Mi A1 is very simple and no any official permission required like other Xiaomi or Redmi devices. Once you have bootloader unlocked Xiaomi Mi A1, come here again and go for next step. 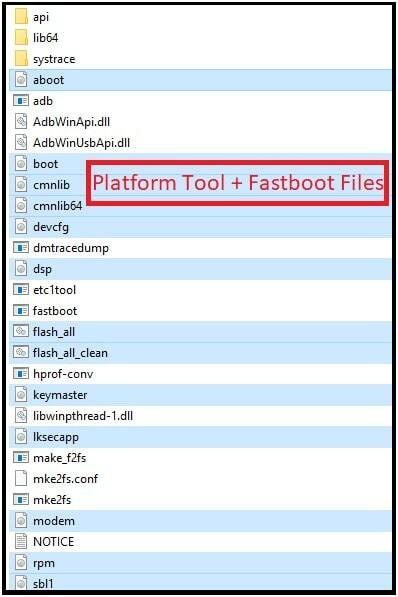 Download and install “Minimal adb fastboot tool” in windows pc. 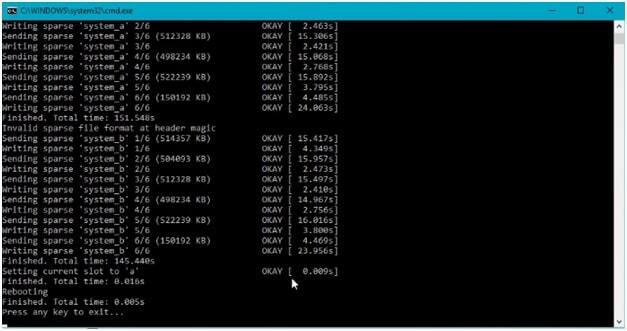 Follow the below guide to install adb drivers. 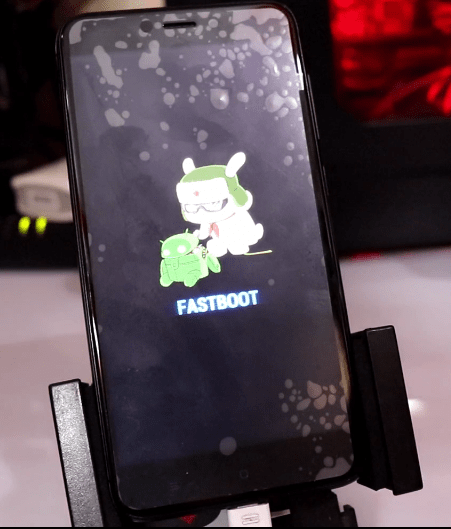 Now extract the downloaded Xiaomi Mi A1 Android 9.0 Pie fastboot ROM zip file on pc. Here you will see the below files in that extracted folder. 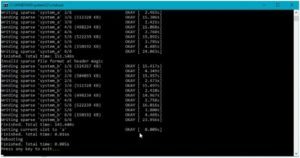 Extract or unzip the downloaded “Platform tool folder” on pc. 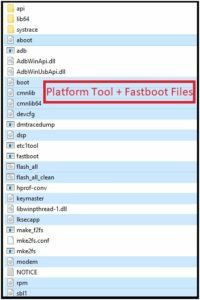 Important : Copy all the files of “Xiaomi Mi A1 fastboot ROM” files and move them into “Platform tool folder”. This step is must. This time come to the device and boot it into Fastboot Mode manually by pressing hardware keys combinations. Connect the device with pc via USB cable. Device must be into fastboot mode. 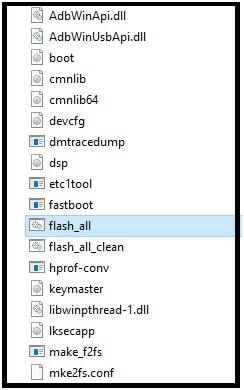 Enter into folder, find flash_all.bat file and double click to run flashing process. 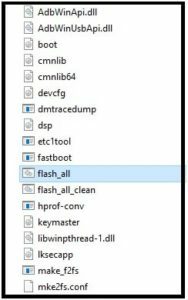 Flashing process will start and may take few minutes to flash complete fastboot files. After completing the flashing, device will reboot automatically. Device will take more time to reboot at it’s first boot after firmware flashing. So sit back and wait for normal boot. 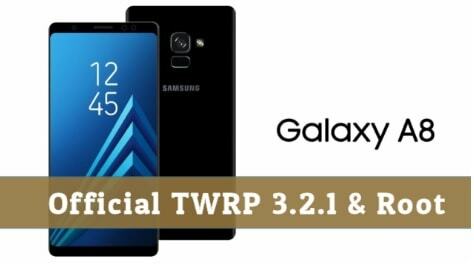 Finally device will boot with latest android Pie 9.0 OS. DONE!!!! This is complete steps to update Mi A1 on Android Pie 9.0 OS with latest 2018 security patch level. No need to worry about stability, it’s an official firmware for Mi A1 android Pie 9.0. Till now getting any issue in any step, please leave your comment below.